This throwback figure showcases the very first appearance of Gogeta, a fusion made up of both Goku and Vegeta! This particular version of him fought against Janemba in the series’ 12th movie Dragon Ball Z: Fusion Reborn. Note the halo above his head! 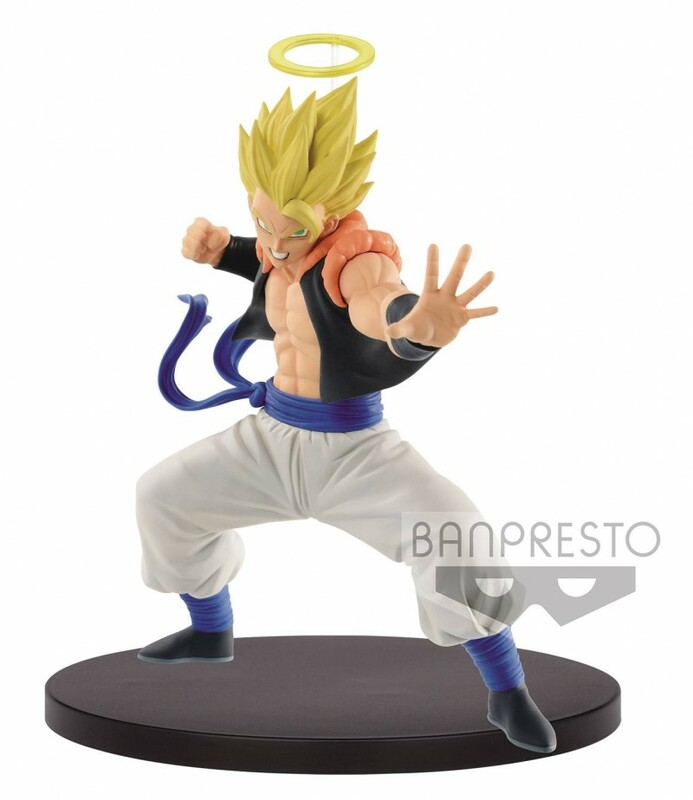 Gogeta stands at 5 1/8” and comes with a black circular base.